Q1. In light of the current issues with “the big 2” and PoC right now, what are some of the issues that you feel are being overlooked or overshadowed? Online harassment and victimization – This affects every one of us. I think the industry powers need to join forces and take the problem head on. Come up with a unified protocol for their companies’ online presence, work with the various journalism websites, talk with their creators and staff, and establish the posture that will act as the line against the trolls and the bastards. Basically, the Prime Directive for the G-7 Nations of the comic book industry. Financial intelligence and retirement programs – What the comic book companies can do, in terms of creating programs akin to a 401K or IRA, to help prevent any more stories like Robert Washington the Third, who was practically penniless when he died while Milestone’s Static was being printed and reprinted by DC Comics. Creators help publishers make profits with the comic books and beyond. The reciprocal action of helping to make sure creators in general have some kind of financial savings when the industry considers them unmarketable or obsolete would be a visionary step. Something as simple as companies allowing freelancers limited access to their internal financial advisors would go a long way, because too many freelancers out there are living in the danger zone financially. A great organization called The Hero Initiative has some programs along these lines, but they can’t do it alone. Q2. I know (personally) that you support indie comics, but you also write/critique mainstream comics in your Mission column on Comic Book Resources, is it difficult to “live in both worlds”? Not at all. THE MISSION is an examination and celebration of diversity and equality, and analysis of the lack thereof, in comic books and entertainment. The coverage of mainstream companies should help inform the creators of the independent sector, and it also helps bring attention to them from time to time. 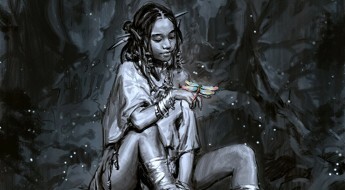 I’ve mentioned the upcoming “Niobe” by publisher Stranger Comics and the years-old “Ajala” by creators Robert Garrett and N Steven Harris in my column, through themes connecting them to mainstream comics. I buy independent books of high quality, and sometimes acceptable quality with characters I love. I spend as much, if not more, money outside of the Big 2 publishers than I do with them. It’s actually the same world when you’re a consumer and see the relationship between the two sectors. Q3. 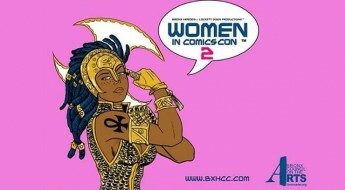 Why do you think many African-American comic book artists aren’t well supported? Even by their own? 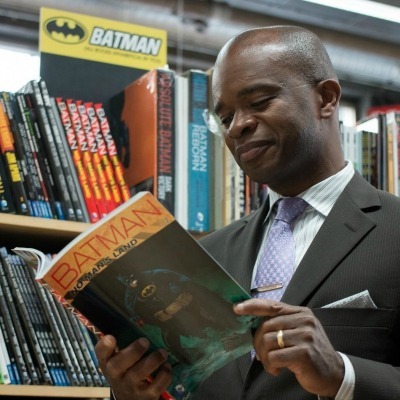 For one thing, I believe most Black consumers of comic books feel no particular loyalty to Black creators, nor do they want to concern themselves with a social issue like diversity/equality within their landscape of refuge. They have to deal with that in the real world, so they want to escape that responsibility in the comic book industry. Additionally, there needs to be an increase in the number of independent Black artists putting out competitive work. Getting a consumer to not succumb to their programming of automatically buying DC, Marvel, etc., and buy your book instead is a Herculean task. At the very least, your work has to be able to stand next to theirs. Your competition is the pull list of your potential customers, which brings me to the next matter. Distribution. If your comic book is not in comic book stores because it’s not distributed through Diamond, then a business strategy beyond travelling throughout the nation to conventions is required. Creators need to think outside the box, and find businesspersons, marketing and PR people, and legal people to be their allies. Do not assume the general populace will find your comic book or graphic novel. Figure out 21st century ways to reach your audience. Q3. 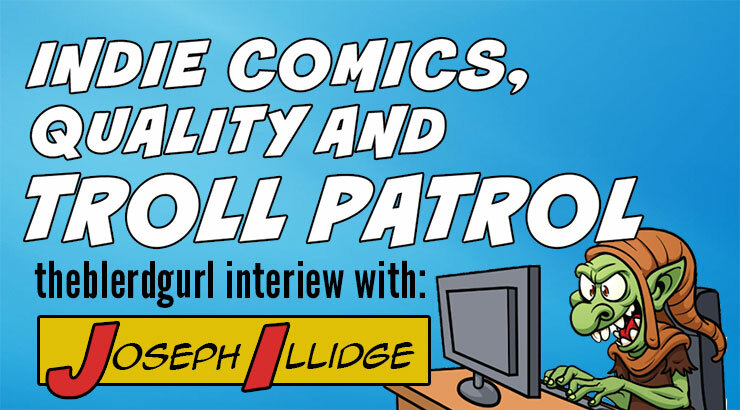 Can you speak to the issue of “quality” in the indie comic and graphic novel world? I’ve seen independent comics with sub-standard art, so I never made it to the writing, which may have been exceptional but was damaged by the association. I’ve seen independent comics full of typographical errors, even though they have a named proofreader in the credits. Typos are like speed bumps, in that they’re annoying and if you encounter enough of them, you want to end the journey immediately. Bad lettering, bad coloring, uninteresting publication design…all of these work against being taken seriously by consumers who purchase from publishers ranging from DC Comics to Image to Valiant to Boom! Studios. They also repel editors looking for new (to them) talent for upcoming projects. Some years ago, a generous, intelligent woman now working for one of the industry’s top independent publishers said to me “Gimmicks don’t last. Quality is what lasts.”, and even though it seems obvious, it’s not to everyone. Think about the lasting power of “Brotherman”. That’s about quality and an authentic vision, not ploys or stunts. Stagnation is death. Every next storyline needs to show something different, an evolution or example of courageous creative experimentation and effort. I guarantee you not one of the exceptional creators working for Marvel or DC Comics is satisfied with their work to the point where they don’t push themselves in the very next issue or storyline. Q4. Can you please name 10 creators who are PoC that you feel are being overlooked right now? And please support all the above listed artists as well. Joseph Phillip Illidge is a public speaker on the subjects of race, comics and the corporate politics of diversity. In addition to his coverage by the BBC and Publishers Weekly, Joseph has been a speaker at John Jay College of Criminal Justice, Digital Book World’s forum, Digitize Your Career: Marketing and Editing 2.0, Skidmore College, Purdue University, on the panel “Diversity in Comics: Race, Ethnicity, Gender and Sexual Orientation in American Comic Books” and at the Soho Gallery for Digital Art in New York City. Joseph is the Head Writer for Verge Entertainment, a production company co-founded with Shawn Martinbrough, artist for the graphic novel series “Thief of Thieves” by “The Walking Dead” creator Robert Kirkman and video game developer Milo Stone. His graphic novel project, “The Ren,” about the romance between a young musician from the South and a Harlem-born dancer in 1925, set against the backdrop of a crime war, will be published by First Second Books, a division of Macmillan. Joseph’s newest comic book project is the upcoming Scout Comics miniseries “Solarman,” a revamp of a teenage superhero originally written by Stan Lee. 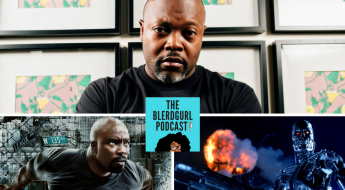 You can read Joe’s commentary on race and social issues in the comic book industry in his weekly column on Comic Book Resources, THE MISSION.